Today Paul, Isabelle’s dad, visited our classroom to break the exciting news about the chicks. 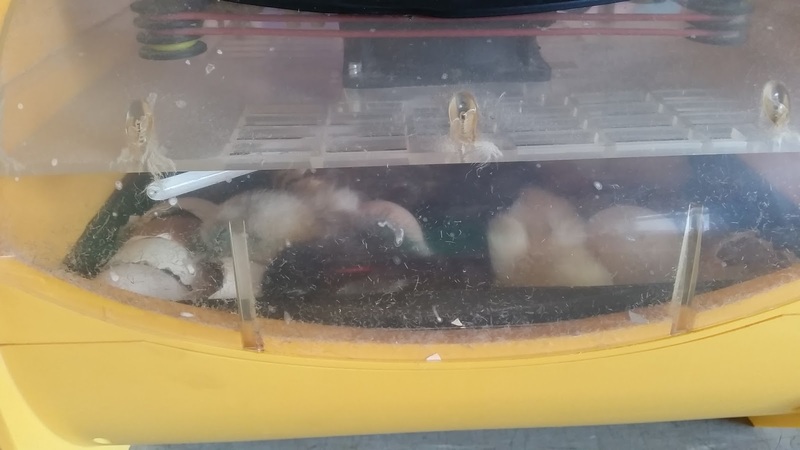 He had an incubator set up. He showed us the eggs and explained that we got them from 2 local farmers. 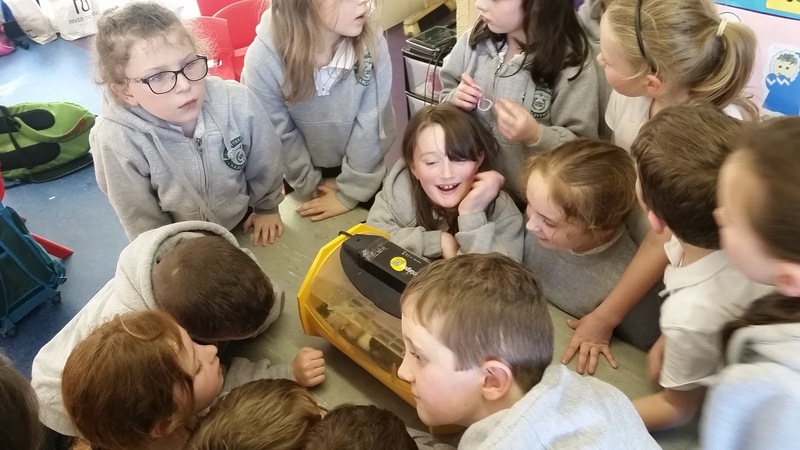 We placed them in the incubator. 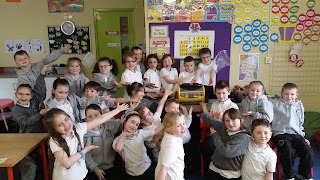 We know they are fragile so we were very careful. 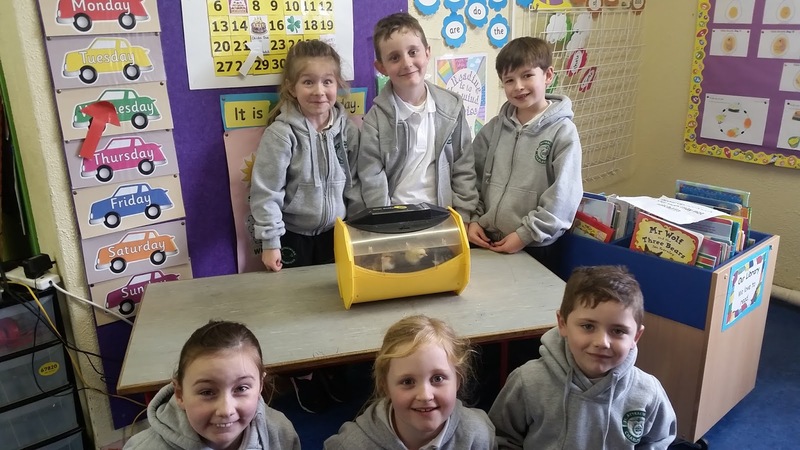 The incubator takes the place of the 'Mammy Hen'. We learned that it takes about 21 days for the chicks to hatch. We marked this date on our calendar. We are looking forward to this date. We learned that the temperature inside the incubator is constant. It is a similar temperature to our bodies – about 37 degrees Celsius. We add water to the incubator every 2 days. 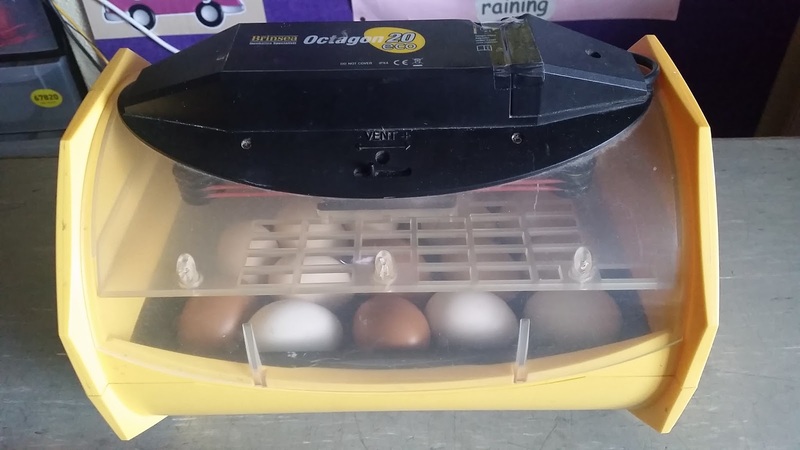 The incubator has an air vent that is open. These are important for the hatching. The incubator is on a stand that moves forward and back. 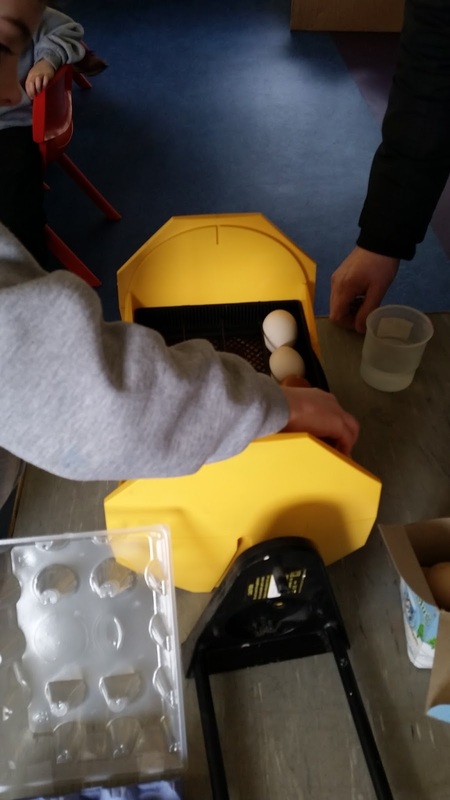 The mother hen moves her eggs around in the nest so the incubator does the same. 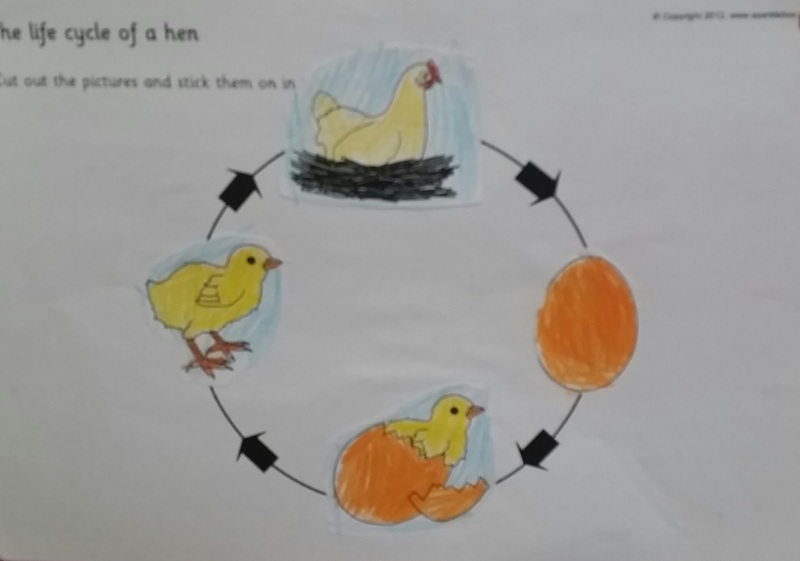 We are learning about the life cycle of the hen. 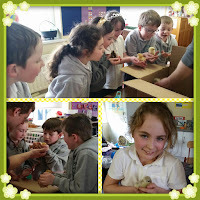 We know it takes 3 weeks for the chick to hatch and it takes 3 months for the chick to grow into a hen. 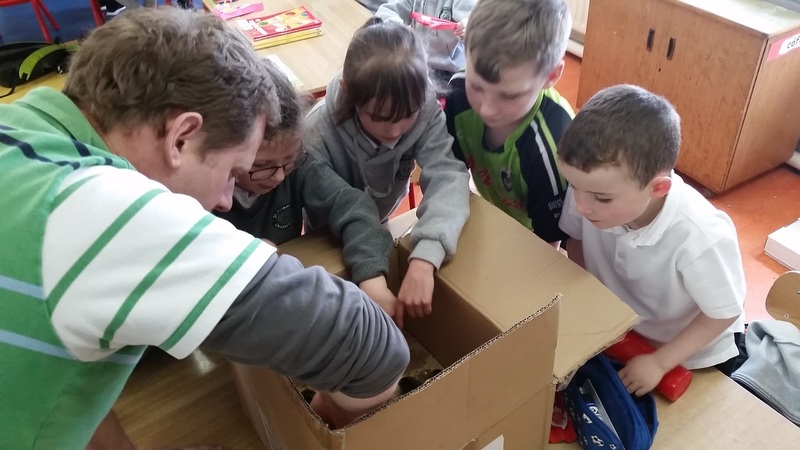 Although we cannot see inside the eggs, we are learning about what is happening inside. The chicks' bodies are well formed now including their head, legs and wings. From our chart on chick growth, we can see that the chicks are growing their feathers. The chicks are getting bigger. Their claws are one of the last things to form. 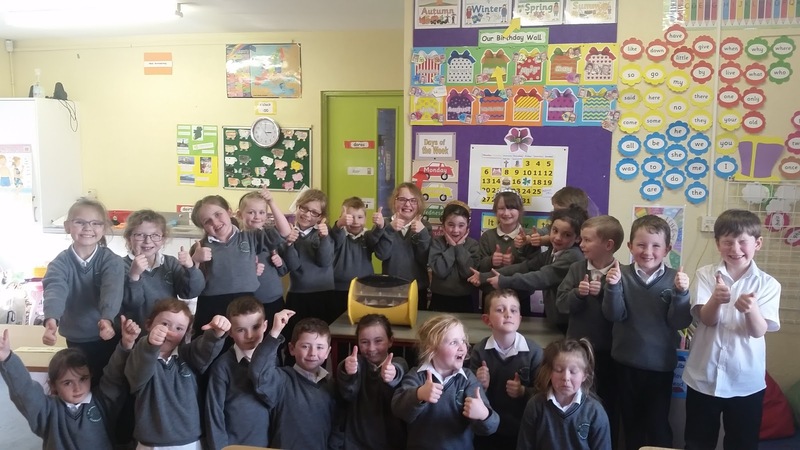 We are back to school after the weekend and are super excited!!! A lot happened today. We took the incubator off the stand – it doesn’t need to be turned anymore. 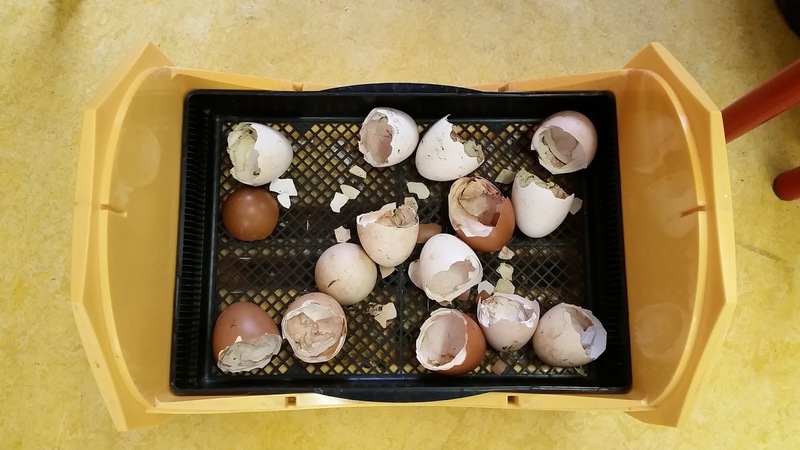 We took out the grids that stopped the eggs rolling – we do not want any of the chicks to get their legs caught when they hatch. We closed the air vent a little. 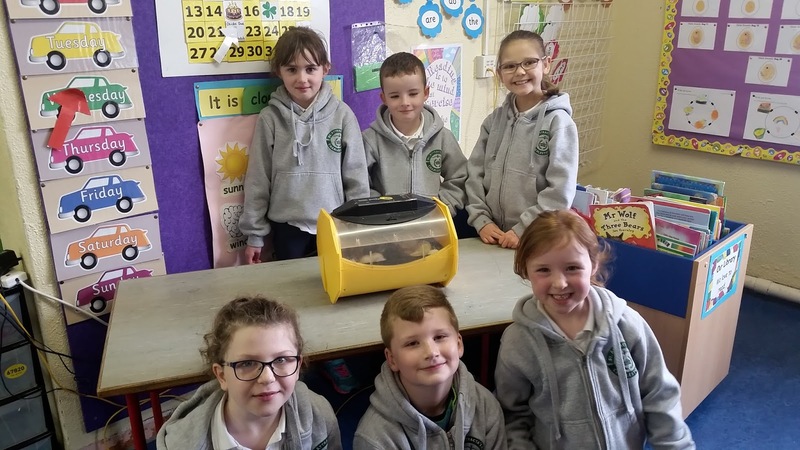 We are expecting our chicks over the next 3 days. 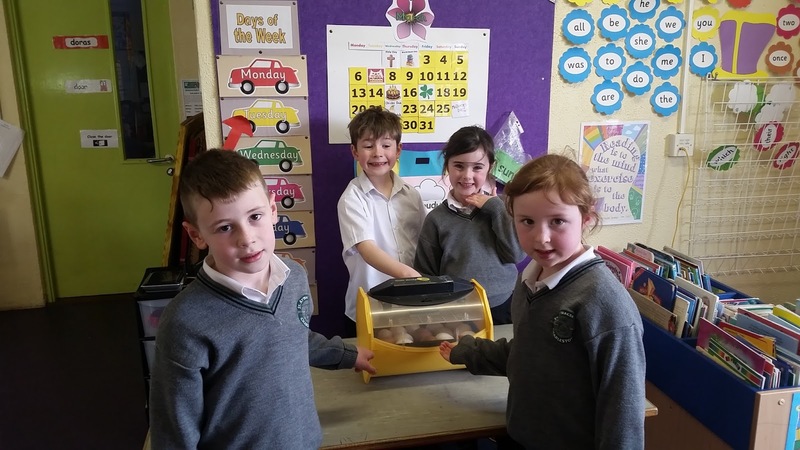 We arrived to school today to discover that one of the eggs was cracked. 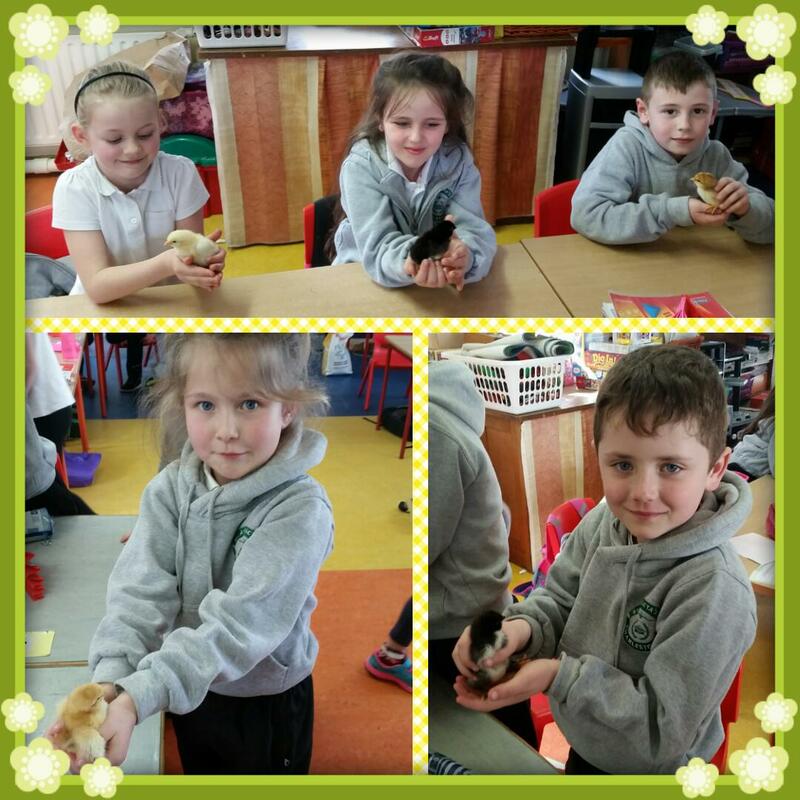 We are happy that the chicks are on their way. By hometime, 6 eggs were cracked. 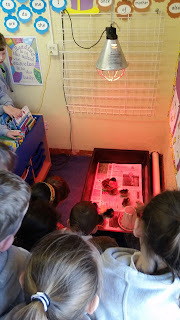 We can hear the chicks cheeping inside when the classroom is quiet!! We were soooo excited this morning as we arrived to school to meet 7 (!!!!!) little chicks. They look very cute and fluffy. They have different coloured feathers - yellow, cream, black, grey, brown! 3 more chicks hatched during the day. It was great to see them breaking their way out of the shell. We took turns on 'chick watch'. 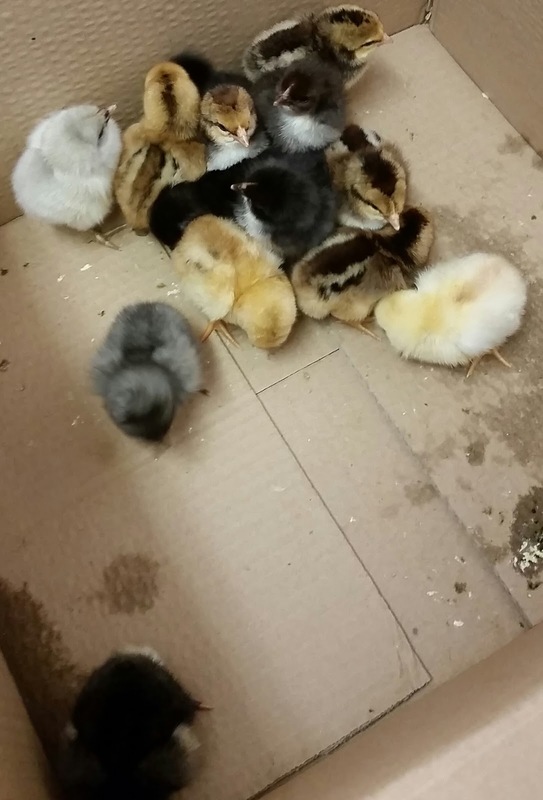 The chicks were cheeping, jumping, pecking, sleeping and resting. Tomorrow the plan is to take the chicks out of the incubator - it will be lovely to see them more clearly and get to hold them, if we are lucky!!! We arrived to cheeping today and were happy to see our chicks again. Lots of us have a favourite already!! Paul visited in the afternoon to move the chicks from the incubator to their new home in our library corner. We joked that they will be very clever chicks surrounded by our tricky words and library books. 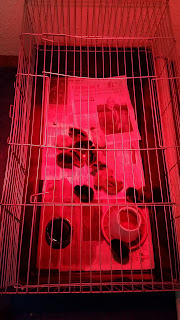 We have set up a red lamp over the chicks - this is to keep them warm. 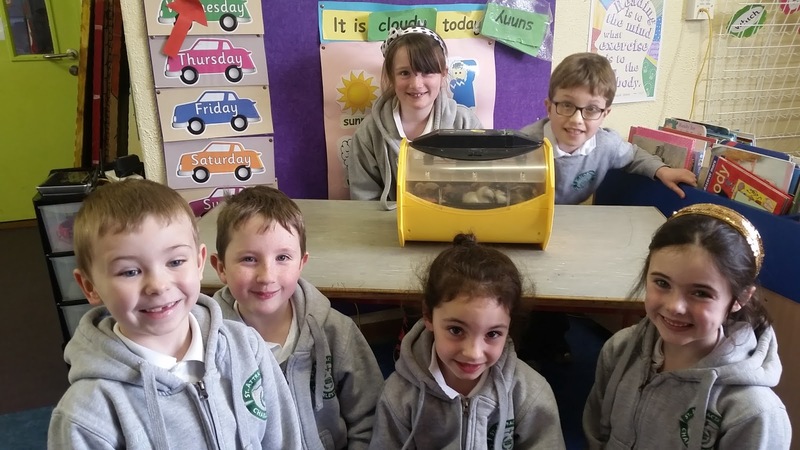 Then we opened the incubator and met our 14 chicks - all of our eggs hatched! We got to hold one if we wanted to...yeah!!! The chicks will drink water and eat chick crumb. We will give them food and water every day. 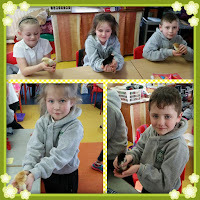 Our chicks are doing very well. We have a rota for caring for them. We top up their food and change their water. We put down fresh newspaper in their cage to keep it clean. 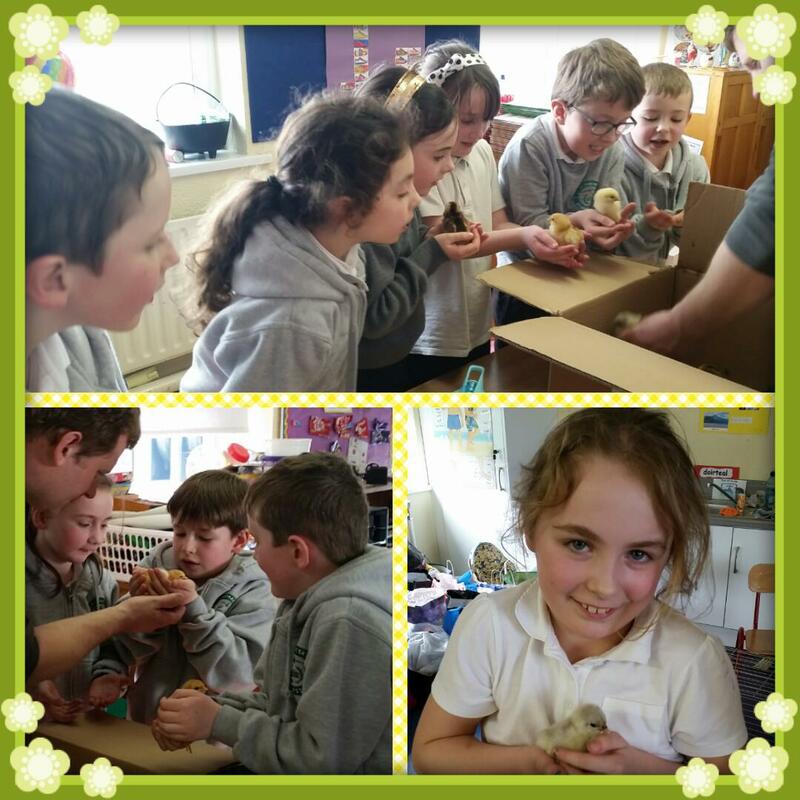 We named our chicks - Pecker, DJ, Mr Cheepers etc.